It is summer! My daughters are obsessed with bracelets and dressing up so I thought we could make something fun! 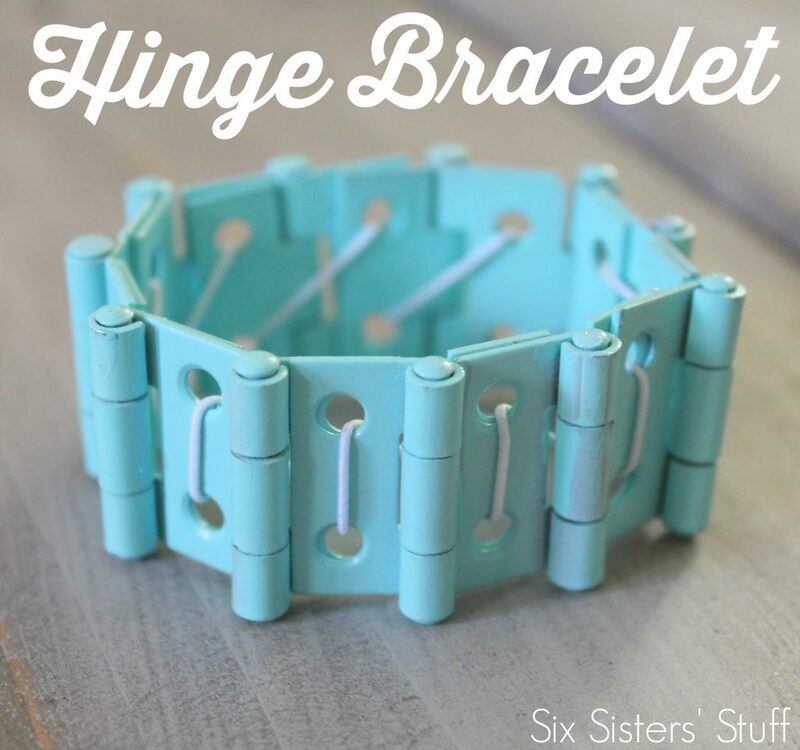 These Easy Hinge Bracelets turned out so cute and are very unique! Spray paint your hinges on the front and let them dry. Turn them over and spray paint the back. Repeat the step so you will have 2 coats on each side. Line up your hinges so that they overlap each other. Cut a long piece of elastic. Insert the elastic through the two hinges holes from the back to the front. Thread the elastic through the top hole joining the two hinges. Cross the thread over hinges to get to another set of holes. Insert the elastic again starting from the back and going to the front. When you are done, turn the entire bracelet over and tie a square knot on the inside of the bracelet. Turn the bracelet back and you are done! Cute! Wish I could read the other comments. You never know what ideas people with have for embellishment or something else similar.